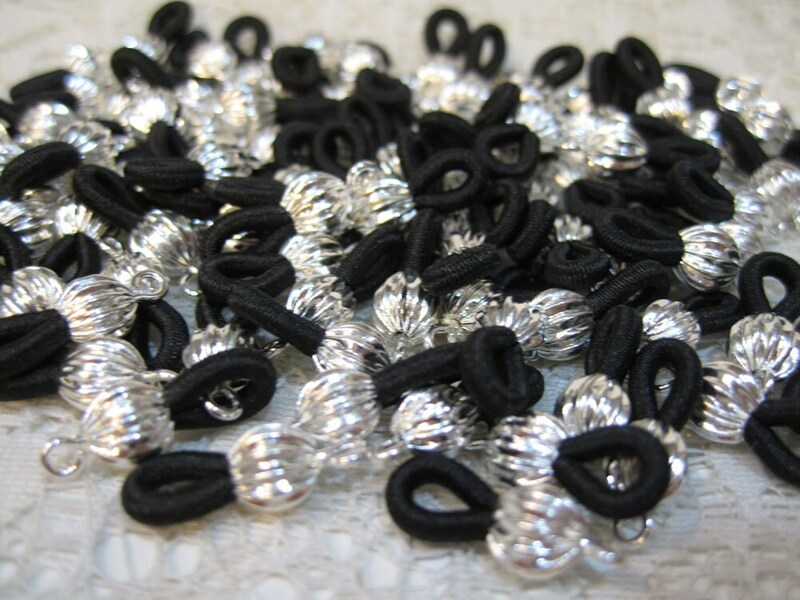 Dress up your eyeglass eyeglass Chains with these bright silver plated metal loop holders. Bright silver fluted round bead and elegant, sturdy black elastic to hold the bow of eye glasses. The elastic is flexible and grips tightly. You will receive 12 pcs (6 pairs). Made in the USA! Product exactly as described. Excellent customer service. Will definitely shop here again - as a matter of fact, I already have!